In its federal budget proposal for 2018, Nigeria has allocated NGN 13.12 billion ($36 million U.S.) as a payment for an order for three JF-17 Thunder multi-role fighters – along with support equipment and spare parts – from Pakistan Aeronautical Complex (PAC). This follows an earlier allocation in 2016 worth NGN 5 billion ($13.9 m U.S.). Nigeria’s budget proposal confirms that the Nigerian Air Force’s order for three JF-17s is still in place, but it is being executed through installments paid in cash. The Nigerian Air Force, PAC and Aviation Industry Corporation of China (AVIC) have yet to release a timeline for deliveries. It appears that the JF-17 is sharing the allocation with the Russian Helicopters Mi-35M, for which Nigeria took delivery of two and has 10 on order (with delivery slated for 2018), and potentially 12 A-29 Super Tucano turboprop-powered close air support (CAS) and light-strike aircraft. In August 2017, the U.S. State Department greenlit a proposal worth $593 million U.S. to sell A-29 Super Tucanos to Nigeria. In December 2017, the U.S. submitted a letter-of-acceptance (LOA) to the Nigerian Air Force to finalize the purchase and issue initial payments by February 2018. In July 2017, the Nigerian Air Force started taking delivery of the Super Mushshak trainers it ordered from PAC in 2016. PAC delivered five new-built aircraft, replacing the interim aircraft it had lent in December 2016. Nigeria has a total of 10 Super Mushshak on order. On the surface, it would seem as though the JF-17 is factoring as a lower priority on the Nigerian Air Force’s procurement roadmap, certainly in comparison to the A-29 (which is to have a launch order of 12 planes). 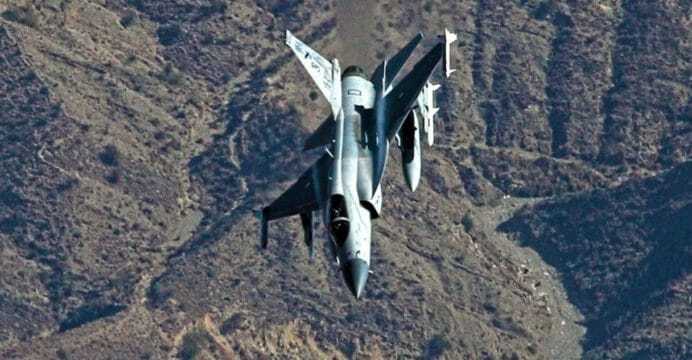 “Nigerian Air Force has taken an incremental approach to the induction of the JF-17. Considering the fact that it does not operate an advanced modern fighter other than a dozen F-7NI (a variant of F-7MG), it seems sensible to have ordered three-odd JF-17, on which maintenance crews would get trained, followed by pilots that will form the core and be available for follow-on inductions. Nigeria will join Myanmar as the second third-party user of the FC-1/JF-17 platform. Myanmar signed its order for 16 FC-1 during the 2015 Paris Air Show. Myanmar’s first FC-1 was spotted undergoing flight tests in China in June 2017.